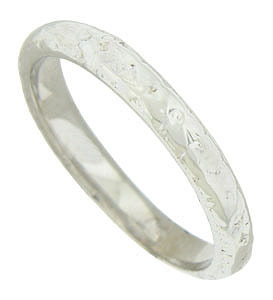 Abstract floral engraving covers the surface of this 14K white gold wedding band. The wedding ring measures 2.96 mm in width. Size 5. We cannot re-size.